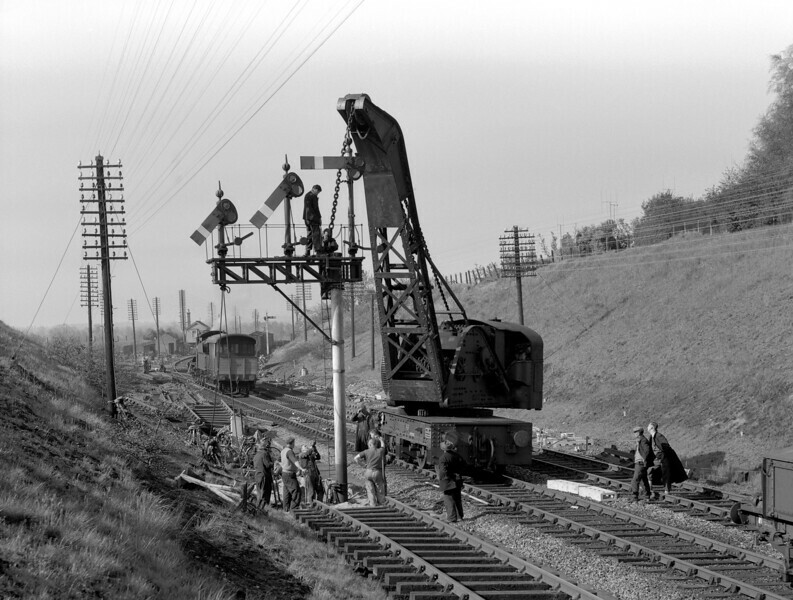 Another shot of the relaying works at Southcote on 26 May 1956. Here the team is giving attention to the bracket signal which had itself only been installed a little over a year earlier. Perhaps it was necessary to move it a little further towards Reading West to accommodate the new junction? Any information on this would be gratefully received. Of particular note to me is the vast number of bicycles in evidence both round near the signal and down by the signal box. Clearly all the workmen arrived on site by bike.